Classic Signs Inc. has been creating distinctive award-winning signs for companies throughout New England since 1989. 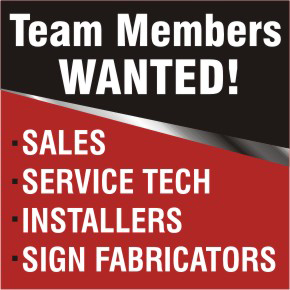 A full service company, CSI offers you a professional staff and years of experience to assure you of the "just-right" solutions to all your signage needs. We have earned a reputation for our beautiful New England-style signs, but we're equally at home with any style you prefer. We work with a wide range of common techniques, and utilize materials as diverse as granite, wrought iron, copper, brass, mounted photography, raised lettering, neon and gold leaf. Whatever style you choose, our goal will be to create a sign that reflects the unique character of your company. Additionally, we will strive to complete your installation on time, within your budget, and to exceed your highest expectations for both service and quality. All signs displayed on this website were designed and fabricated in our 10,000 square foot facility. CSI is a fully licensed and registered UL manufacturer. Provide a professional look and serve as an excellent street advertisement. We can provide a solution that will exceed your expectations. A popular way to create a sign on just about any surface. Channel letters provide great depth and precision to your company's sign.